Has MacBook Pro gone down? Don’t worry! Our qualified, friendly MacBook Pro repair technicians will bring it back to life. We diagnose and repair all MacBook Pro issues, from simple MacBook pro screen replacement or battery replacement to complex MacBook pro logic board repair. We’re quick, we’re professional, and we’re convenient. You can come to us, or we’ll come to you. Our call out MacBook repair is available to anyone within the Mumbai, Thane & Navi Mumbai. We don’t charge anything for Pickup & drop. It is absolutely free. Plus we work evenings and weekends, so you’ll never have to wait for an urgent repair. If you’re near one of our MacBook pro repair shops, drop in and we’ll diagnose the most common issues on the spot. Or we can collect, repair, and return your MacBook Pro to your place of business or your home. Nearly all MacBook Pro repairs are carried out on the spot. For all other repairs, we offer a next day service. Our MacBook Pro repair service is quicker than the branded alternative. It’s cheaper than the branded alternative. And it uses the exact same quality replacement parts. We don’t think it’s rocket science. But we do think it’s genius. You can trust our MacBook Pro repair service. Our engineers are qualified experts who know MacBook pros inside out. And you deal with us face-to-face, either in one of our shops or in your home or office. Our MacBook Pro repair service calls out to where you want. And that means really when you want, even if it’s at the end of the evening or at the weekend. We know you need your MacBook pro fixed as soon as possible, so that’s what we do. Our MacBook Pro repair service is priced to reflect the work we do, and the quality replacement parts we use. But not our logo. You pay for what you need, not the pretty pictures on our vans. We don’t have any pretty pictures on our vans, and that’s why. Our MacBook Pro screen repair service is quick. We are often able to replace a cracked or broken screen on the same day. Our MacBook Pro screen replacement service is convenient. You can come to one of our shops, or we’ll come to you. We offer callout repair services to anyone inside the Mumbai, Thane & Navi Mumbai. We also provide an Onsite Service for the certain MacBook Pro repairs in which we visit and repair your MacBook Pro screen panel on the spot, or we’ll pick up your MacBook Pro, take it away, and deliver it back to you at a convenient time. So whether you’ve put a rock through your Retina or a drumstick through your MacBook Pro screen, we can help. Just tell us the year and screen size and we’ll fit a new one as soon as possible. Or, if you don’t know the screen size or model year, bring it in to our shop or get us to collect it from your home or place of work. We’ll identify the correct screen, and fit it in time for that scheduled FaceTime meeting. MacBook pro battery died? Don’t consign your macbook pro to the rubbish heap just yet. Our MacBook Pro battery replacement service is fast, fairly priced, and usually completed on the same day. And we’ll even come and pick your macbook pro up from your home or place of work. When you buy a MacBook pro, you buy quality. Unfortunately, the solid build and aluminium case come with a payoff. They aren’t designed to be opened by the owner. And that means, when the battery reaches the end of its useful life, you’re recommended to return the whole computer to your nearest Apple store. Official MacBook Pro battery replacement is costly. And if you don’t live near an Apple store, it can can take several days to complete. We use the same quality batteries you’d get if you paid Apple premiums for your MacBook pro battery replacement, but our service is much quicker and much cheaper. Got no power? No problem. Our MacBook Pro charging port replacement service will power you up again. Stat. We provide a fast, efficient, and cost-effective MacBook Pro power jack repair service. Prices are transparent and constantly monitored to make sure they stay lower than our competitor's. Repairs are done in one day so you never have to wait for your MacBook Pro to come back. Our MacBook Pro Charger connector repair team works all over the city. If you’re in need of assistance in Mumbai, Thane & Navi Mumbai, we’re the people you call. Sticky or missing keys? Our MacBook Pro keyboard replacement service is the answer. And with a keyboard replacement cost that’s significantly lower than branded or national alternatives, our keyboard repair service guarantees happy customers as well as working machines. Our keyboard repair service is carried out by qualified, experienced professionals and is suitable for your MacBook Pro. Our MacBook Pro keyboard replacement service is quick and convenient. We don’t outsource keyboard repair jobs. And that means you can usually get your machine repaired on the same day. Keep your MacBook Pro in good health with our MacBook Pro cleaning service. We offer a fast, same-day service for all makes and models. Our MacBook fan cleaning services are vital for ongoing MacBook Pro health. If your MacBook Pro is older than two years and has never had its fans cleaned, it’s likely to need them doing. Your MacBook Pro fan is responsible for cooling the vital components packed tightly inside the case. It blows the hot air, generated by the working elements of the MacBook Pro, out through the air vents. But air isn’t the only thing passing through those vents. 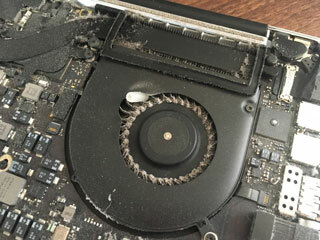 Over time, tiny particles of dust and dirt, sucked into the MacBook Pro by the action of the fan, clog up the blades. Our repair technicians hold vast experience in MacBook Pro logic board repairs. We keep our tools and platforms updated so we can keep providing the best logic board repair service for your MacBook Pro. We provide logic board repair services for all MacBook Pro Models from the Year 2010 to Current. Our policy is simple and straight forward, NO FIX NO Charge. 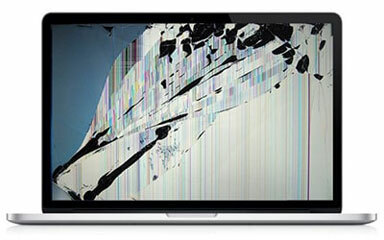 We first diagnose your MacBook Pro without any checking changes and let you know first the best price for the repair. MacBook Pro Non Retina HDD to SSD Upgrade is the best way to retain the MacBoook Pro performance while using high end application softwares without lag. We provida and option in HDD to SSD upgrade where you can just replace the 512GB HDD with SSD with the capacity of 512GB or use HDD with caddy for the storage and put SSD in the previous HDD place for the best processing speed. MacBook Pro Non Retina that means the MacBook Pro Unibody build from year 2010 to 2012 are capable to handle the RAM upgrade till 16 GB DDR3. 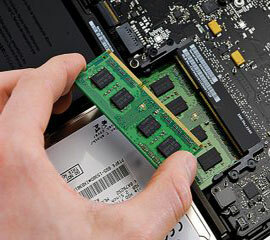 With lifetime warranty, We provide RAM Upgrade for your MacBook Pro. You can put 4-4 GB or 8-8 RAM in each slots to meet the performance requirement. Many customers have found that it can be more cost-effective than replace it with a brand-new MacBook Pro model.